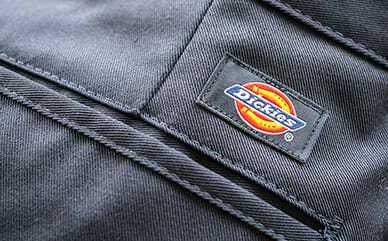 Dickies Girl Juniors' Checkered Stripe Relaxed Leg Pull On Pants have a fleece and cotton blend design giving them a soft touch. The loose fit and relaxed leg makes them perfect for lounging, while the elastic waist with drawstring gives them the perfect fit. Finishing with a checkboard stripe design that runs up the side of the legs.